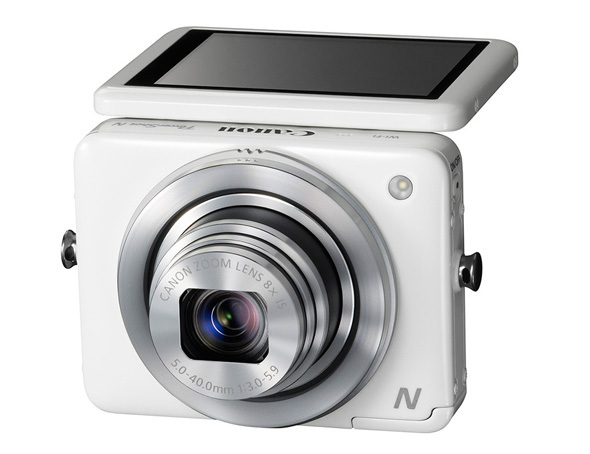 Canon has announced a unique ultra-compact PowerShot N camera that is designed to compete with your smartphone camera. The new camera sports DIGIC 5 image processor, a 12MP high speed, sensitivity CMOS sensor, and 28-244 mm equivalent 8x zoom lens. The camera's 2.8-inch tilting touchscreen allows you to take pictures almost at any angle, and a new Creative Shot mode automatically generates five different versions of your picture using different color modes, styles, and crops in addition to saving the original shot. With the camera's Wi-Fi one-touch connectivity, it is very easy to upload videos and images to your smartphone and the internet. The PoweShot N is expected to go on sale sometime in April and priced at $299.99. - 10 - 50 cm when the scene is detected as Macro. - The telephoto focusing range is beyond the flash metering range. 4GB 1 hr. 45 min. 38 sec. 3 hr. 20 min. 44 sec. 5 hr. 34 min. 33 sec. 3 hr. 43 min. 02 sec. 6 hr. 41 min. 28 sec. 11 hr. 09 min. 08 sec. 12 min. 56 sec. 25 min. 43 sec. 16GB 7 hr. 05 min. 59 sec. 13 hr. 29 min. 22 sec. 22 hr. 28 min. 57 sec. 14 hr. 59 min. 18 sec. 26 hr. 58 min. 45 sec. 44 hr. 57 min. 56 sec. 52 min. 12 sec. 1 hr. 43 min. 45 sec. 4GB 14 min. 32 sec. 20 min. 41 sec. 43 min. 37 sec. 16GB 58 min. 38 sec. 1 hr. 23 min. 26 sec. 2 hr. 55 min. 56 sec. *1 Playback frame rate is 29.97 fps. 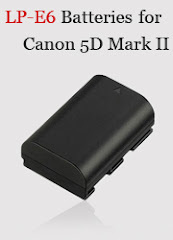 • Files up to 4GB can be taken with continuous shooting. • Super Slow Motion Movie: approx. 30 sec. one-time.